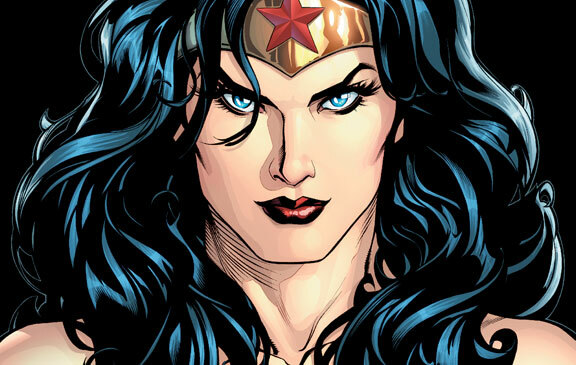 Wonder Woman is the most recognizable female superhero character in comics the world over. She carried her own comics series for a long time and has been a mainstay of DC comics for ages, so much so in fact that along with Superman and Batman she forms a Trinity, a trio of three of the most important and most powerful characters in all of the DC-verse. Under Lynda Carter, Wonder Woman even had her own live-action TV show in the mid-70s. And she’s featured in several animated projects over the years. In fact, the Wonder Woman animated movie from 2009 is WB’s fourth highest grossing DC animated movie ever. And yet, we hear arguments to the tune of Wonder Woman not being able to carry her own movie. The Mary Sue, in its article did a nice little breakdown of DC’s various animated movies, and compiled a Top 10 list by sales, which I’ll attempt put into perspective. Here’s the list, for reference’s sake. Tucker said that with characters who can’t carry their own DVDs, WB is going to put them in big umbrella tent-pole projects to give them that kind of a push. Looking at those numbers right there, does it look like Wonder Woman is unable to carry her own DVD? Tucker wants to do a Wonder-Woman focused Justice League movie. Looking at those numbers, which brand sold better? If a Wonder Woman animated movie, one that has some really visceral action (something that the execs are loving right now), can beat out solo movies with Batman, Green Lantern and Superman, if it can beat out no less than two Justice League team movies and beat a Superman/Batman movie (one that was about Supergirl anyway and is an example of the kind of stupid rebranding that WB/DC want to do), then why can she not carry her own movie? It beggars beliefs the kind of blinders that all these movie executives are willfully wearing and are even reveling in it. Look anywhere on the internet and you’ll find that there are people out there who well and truly want Warner Bros. to make a Wonder Woman movie. There are fancastings happening every month and the discussion is running rampant on all sorts of forums and blogs and Tumblrs and what else. One of my favourite bits is fantasy author Scott Lynch’s treatment of a World War 2-era Wonder Woman movie that I found to be quite well done. The way I look at it, it all comes down to fear and reluctance and general sexist attitude. Because there’s no other explanation. Any argument that can be offered other than these three reasons is completely artificial and easily debunked. Because they are all theories playing the “what if” game. They aren’t serious in any way because there is absolutely no reason why a Wonder Woman movie cannot be made, especially in the wake of some recent releases (recent as in the last 10-12 years) that have been making it big and that prove female-led action movies can and do succeed at the box office, and that the audiences are receptive to such. There have been five Resident Evil movies to date, starring Milla Jovovich, who is a favourite actress to play action-oriented female characters in movies. There are talks of a sixth movie being made, which will be the one to end Alice’s story and the entire arc that started in the first movie. SIX movies. Let that filter into your minds. The movies may be cheesy action flicks but you can’t argue against their success right? They are low budget movies which have drawn upwards of 4, even 5, times their budget costs. As a franchise, there is no bigger action-series which is headlined by a woman. The only one that I think competes (and feel free to correct me) is the Nikita franchise. It all started with a moderately successful movie that later spawned two reboots and even an ongoing multi-season television show featuring Maggie Q, who is a pretty damn good actress in all respects. Success? Oh hell yes. Or the Angelina Jolie-led Lara Croft duology. And Jolie went on to make an espionage action movie that was highly successful, SALT. Or the Uma Thurman-led Kill Bill duology. Or the Kate Beckinsale-led Underworld movies, three of which have featured her as the primary protagonist. These are just a few of the more well-known ones, the ones that stand out in the public memory. There are others, many, many others that could be named. Female action characters have long been a staple of the industry. Sometimes we get sexualised versions that make us feel frustrated, sometimes we get those that are more. Part of the success of the modern Disney fanbase is based on the animated movies of the 80s and 90s which featured some of the most recognizable cartoon characters such as Princess Jasmine, Ariel, Beauty, Cinderella and many others. If you want a fierce, opinionated and action-oriented Disney Princess, look no further than Jasmine. She has always been a major character in the Aladdin franchise and she has done much to stand out on her own over the years. The same goes for characters like Megara from Hercules and Ariel from The Little Mermaid. These are all characters that have proven their worth at the box office. Should I go into a discussion of other popular animated characters? The point is, there are ample examples of female success at the box office. The most recent, and recent as in the last month, example of this is Gravity, a science fiction action-suspense movie set in Earth’s orbit and featuring Sandra Bullock as the main character. George Clooney is a part of the proceedings as well but he has little more than a cameo. Its a Sandra Bullock vehicle all the way. On a roughly $100 million budget, the movie has so far grossed more than $300 million. Can’t argue against those numbers. Sure, there are plenty of failures along the way, such as Elektra (based on a Marvel character), Aeon Flux, Ultraviolet, Red Sonja, Tank Girl, and others but that’s the thing. Its no different than the success and failures of male-dominated action movies at the box office. It really isn’t. And yet, we get these movie executives who focus on the failures, hold them up to the limelight and say that “girls with guns” films don’t work. That female characters as protagonists don’t work. Like I said, its all rooted in incredibly sexist attitudes. Because what other explanation can be there? One of the common arguments against making a Wonder Woman movie is that her immortal grecian mythological hero background cannot be translated easily to the big screen. Marvel’s Thor was able to get around that whole angle with casting the gods as aliens, effectively, and that cannot be repeated with Wonder Woman. To that, I say bull. This is perfectly why there should be a Wonder Woman movie, one that highlights her exact origins and doesn’t tiptoe around any of it. My reasoning: just look at the proliferation of urban fantasy movies right now. If people can lap up vampires and werewolves, then they can accept an immortal hero from mythology. It really isn’t all that different when you come down to it. And particularly since Thor has been so successful, and there’s a second Thor movie coming out in a week or two, people are looking for similar movies. With Wonder Woman, Warner Bros is perfectly positioned to offer a great counter-point. But, the movie executives want to ignore all of it. They are waiting for some perfect script that will guarantee them a billion dollars at the box office. Until they get that script, and that perfect casting and what not, they are not going to make a Wonder Woman movie. They ignore the fact that a Wonder Woman can generate instant interest on all levels. It is what I call a “marketing super titanium card”. World’s most famous female superhero getting her own movie? People are going to respond to it instantly and they are going to actively welcome it. My only advice to these idiots is to just go ahead and make a movie that can be good. Good, not perfect. That’s all they need to do really. Make a good movie and let the fans determine whether it is going to be perfect or not. The executives are not in any position to make that kind of a call. The fans are the ultimate judge in that respect. Now to switch gears, some of the same arguments apparently apply to Black Widow as well, who is currently Marvel’s most high-profile female character for its movies. As evidence, I offer another The Mary Sue article, in which Kevin Feige talks about the topic. And his word should carry a hell of a lot of weight since he is the President of Marvel Studios. And here’s another article with Louis D’esposito, who has been a producer on most of Marvel Studios’ films. Sure, Marvel wants to make a solo movie with a female character, and I applaud them for wanting to make one, but the fact is that there is no talk of them actually making one. There have been rumours about a Black Widow that have gone nowhere. Rumours of a Captain Marvel (the current version with former Ms. Marvel Carol Danvers) movie with Katie Sackhoff in the titular role have gone nowhere as well. Why all the beating around the bush? Just what is it about these characters that Marvel is reluctant to make solo movies, preferring to let them guest star in male-dominated movies? Next year, we are going to get Captain America: The Winter Soldier, the second movie with Chris Evans’ Captain America, and it is going to be Black Widow’s third movie, after having starred in Iron Man 2 and Avengers. Three movies on and we have no information on Black Widow’s own movie. 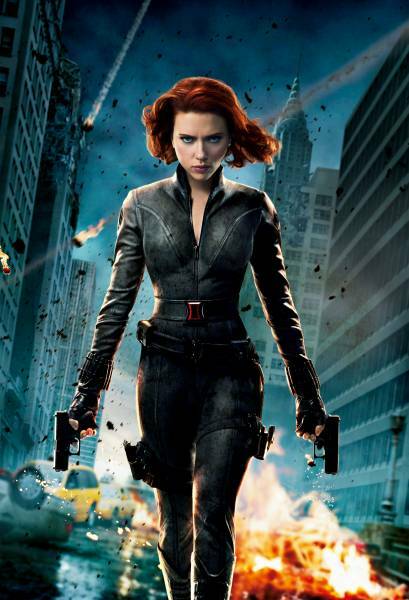 In fact, in neither of these two movies has she even be referred to as Black Widow, only Agent Romanoff. Agent Romanoff has proven to be a popular and integral character in the Marvel movies so it is a perfect time to give her a solo movie, particularly since she is getting her own new ongoing series next year. There are currently two main arguments I’ve come across as to why she isn’t getting her own movie: that she is too similar a character to Captain America in terms of how she operates to warrant getting her own movie, and that there is no room in Marvel’s phase 2 and quite possibly phase 3 to accommodate her. Once again, I say, bull. A Captain America movie is an espionage movie where the focus is on black ops missions. Even in the comics, its the same, from what little I’ve read. And Captain America is very much a tent-pole hero who operates as a soldier, not a spy. In contrast, Black Widow is someone who is a James Bond spy/assassin character, to use that kind of a comparison. And since everybody looks at female characters like that, why not use the best example of the genre? You can’t ever compare Captain America to James Bond, but you can compare Black Widow to James Bond. There is ample room in Marvel’s shared movie universe to accommodate both tones of the genre. That’s how I feel about it. And speaking of spies and assassins and intelligence agents, isn’t that exactly what Nikita is? Isn’t that exactly what DC’s own Black Canary is? These are all popular characters, right? With regards the second argument, that there’s no room in either phase two or three, its simply an artificial excuse because they are doing things a certain way and choose not to change what they are doing. Consider that the problem lies in how Marvel’s phase two is structured. We have Iron Man 3, Thor 2, Captain America 2, Guardians of the Galaxy and Avengers 2. Five movies, compared to phase one which had six movies in all. And phase 2 runs for only two years whereas phase one ran for four years. Of the movies in the current phase, four of them are sequels to movies from the previous phase. The problems should be apparent. There is absolutely no reason why a Black Widow movie couldn’t have been slotted in for phase two. If we are really looking for a slot, it could have happened between the already-released Iron Man 3 and the upcoming Thor 2. That would have been a sweet-spot actually since the fallout from Avengers could have been used to lead into a story where Agent Romanoff is sent off on a mission to neutralize a threat to SHIELD borne from the Battle of New York. This is currently the premise of Marvel’s Agents of SHIELD, its first live-action television show which features movie fan-favourite Clark Gregg’s Agent Coulson leading a team of young agents to counter the growing threats all over the world. Or, it could be slotted in after Guardians of the Galaxy as a lead-in for Avengers 2. I’ll repeat myself: there’s absolutely no reason why we can’t have a Black Widow movie. Especially since phase three is so open at the moment. There are rumours of a Dr. Strange movie, and even a Black Panther movie. The latter offers them an opportunity to feature a POC superhero in his solo movie, which is excellent. So can we not do the same for Black Widow? Or even Captain Marvel? There are no real reasons why we can’t have female superheroes starring in their own movies as characters of importance who can stand on their own. All the studio executives need to do is to put their trust in these characters. People want to see these characters, so why not give the people what they want? What is stopping them beyond their own sexist attitudes towards women? For more thoughts on how a Wonder Woman movie could be done, I put some brief thoughts a few months back into how DC could create its own shared-world movie franchise, Justice League: Strange Union. In the end, I leave you with this amazing Wonder Woman short film made by some fans for fans. I really like it. Posted on October 27, 2013, in Comics News, Editorial, News and tagged Action Movies, Agent Romanoff, Avengers, Avengers 2, Avengers: Age of Ultron, Black Canary, Black Widow, Captain America 2, Captain America: Winter Soldier, Captain Marvel, Carol Danvers, Comics News, DC Comics, Editorial, Female Protagonitsts, Female Superheroes, Female-Led Movies, Gravity, Green Lantern, Iron Man, Iron Man 2, Justice League, Marvel Cinematic Universe, Marvel Comics, MCU, Misogyny, Movies, News, Princess Diana, Sandra Bullock, Sexism, Superman/Batman, Wonder Woman. Bookmark the permalink. 3 Comments. Well… DC make Jonah Hex movie before Wonder Woman. D or C class character get his own movie B class character.